Late summer and fall flowers include pretty dahlias like this stunning red variety. To do this piece, I went out to the gardens to paint these from life in order to see all the details for this botanical painting. 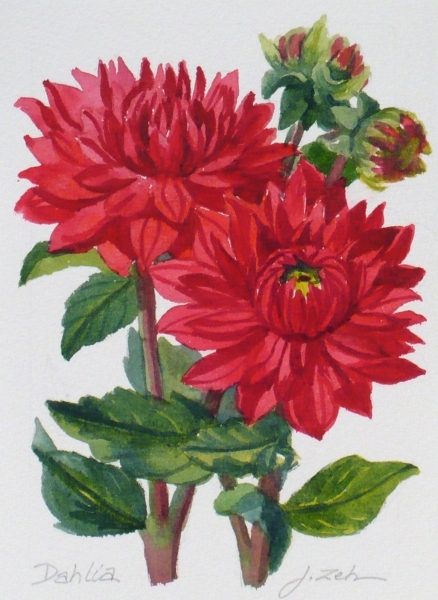 You can get a print of Dahlias at Prints.ZehOriginalArt.com in the botanical section. Have a beautiful day!